It was one Wednesday (February 16, 2011) afternoon, I went to the supermarket with my son JC. We used to do it most of the time. 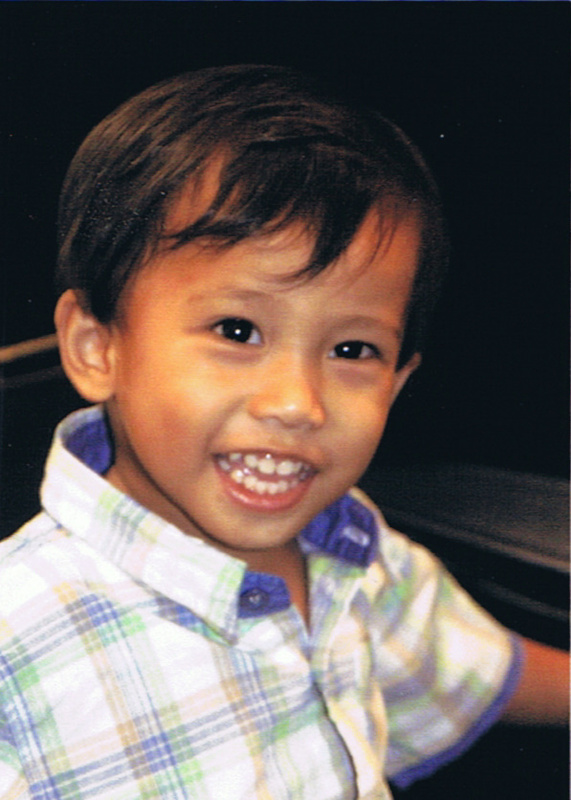 I will find someone who will look for my daughter then I will bring JC with me especially during my shopping time. As usual I will have him sit in the push cart then pick up the things that we need to buy. This Wednesday afternoon was not different than those days that we go to the supermarket. I had no idea that something wrong will happen. When we are on the cashier paying the stuffs, JC asked me to lift him out of the cart then he sit at the box near me. After giving the cash to the cashier, I glanced at the box where I knew he is then suddenly I could not find him anywhere. I asked the guard which is just next to me if he saw where did my son go but he is has not give me an answer. I felt my heart pounded, it beat so fast, and even cannot explain my emotions that time. I have never been so worried in my life. All I am thinking about is where did my son go and where could I find him. Different thoughts flashed in my mind that he may have gone out of the supermarket or could have followed a stranger. I knew he cannot get home by himself. He could not even say where he lives and he only knew mommy and daddy not our specific names. I did not care of the things we bought in the store; I left and forget all of the stuffs we buy. All I wanted was to find him. Tears were in my lids waiting to fall, I knew that in any minute I’ll be hysterical. I tried to go back in those areas that we have been. I am trying to think of the places I could find him. I decided to go back at the cashiers’ area hoping that he is there. On my way I heard JC’s voice saying “mommy…mommy”. I saw him running towards me. I saw his face smiling (did not even had a thought that I have lost him). This two year old boy was unaware of how worried I am for him. Having him in my arms and embracing him felt like having a pail of icy water splashed all over me. What a relief! 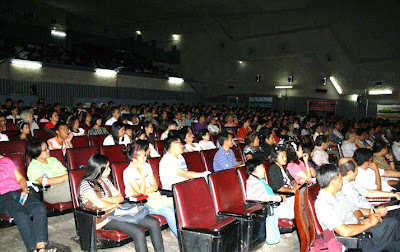 We had our seminar last February 12, 2011 –“Reaching People for Christ” that was participated by the whole Body of Christ in the province of Batangas, having hundreds of attendance. Then celebrated our church anniversary the following day – February 13, 2011. Our church theme had meant so much more to me - “REACHING THE LOST AT ANY COST”, after the supermarket experience with JC. I learned and understand more of the feeling of a father looking for his lost child. No wonder why God the Father in heaven was willing to give up his most precious Son – Jesus because of his great love for us. Christ left his throne and humbly went to earth to seek and to save his sons and daughters that were lost. This is the wonderful grace that I personally cherish from Him. There's no better place than to be in the arms of a very loving Father in Heaven. A lost child like me was found by God and now having this privilege to be called His daughter and serve in the ministry for His glory.